Providing you the best range of sterile filling vessel, aseptic pressure vessel and injectable filling vessel with effective & timely delivery. 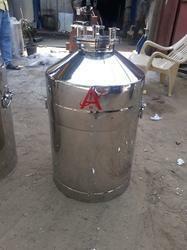 Filling VesselFilling Vessel, Mixing Vessel manufactured by AKSHAR ENGINEERING WORKS are the most versatile and flexible designed to meet the widest requirements of the Pharmaceutical Industry. Filling vessels are used in the Membrane filtration system. 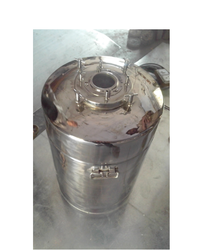 While pressure vessels are used to transfer the product to the filter under Nitrogen pressure, the filling vessels are used to collect the filtered sterile solution. They work as buffer vessels in the product filling room. CAPACITY :· from 5 liters to 1000 liters. Capacities 5 liters to 1000 liters. CAPACITY :· from 5 litres to 1000 litres.